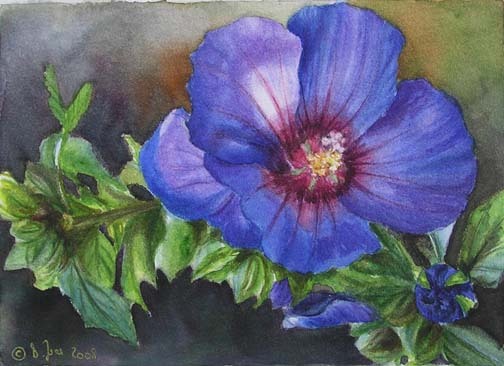 This blue Hibiscus is in one of my neighbours garden and I was lucky enough to be allowed to do some reference photos. It is fun to see all the hibiscus full in bloom at this time of the year and when the bushes are so large – it looks really fabulous. I have painted the blue Hibiscus in watercolor on Crescent Watercolour Board and size is 5″x7″.